Earlier this week, Felicity Huffman and 13 other rich parents announced that they are pleading guilty to the charges stemming from the college admission scam scheme (why don’t we have a snappier name for this thing?) that has tarnished the good names of some of the wealthiest, most entitled families in the country—with Huffman having been charged with one count of conspiracy to commit mail fraud over a phony charitable donation that was actually a payment to scheme mastermind William Singer. 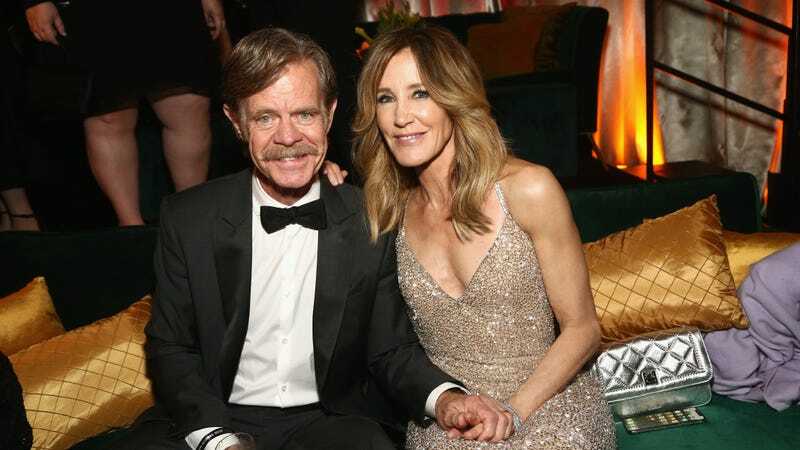 Now, with Huffman having admitted to being a bad person who believes that she’s better than other people because she and husband William H. Macy have money, Netflix has quietly decided to pull an upcoming Felicity Huffman movie from its schedule. As reported by Variety, the film—Otherhood—was supposed to premiere on the streaming service on April 26, but now all information about it has been pulled from Netflix’s press site and the movie has been delayed indefinitely. Netflix has confirmed that last bit, with Otherhood not having a new release date just yet, but it hasn’t issued any other comments. Of course, with Netflix already dumping so much new stuff so quickly, it probably could’ve released this movie as planned and nobody would’ve really noticed. Hell, Avengers: Endgame comes out on April 26, so definitely nobody would’ve really noticed. Variety says Otherhood is based on William Sutcliffe’s novel Whatever Makes You Happy, and it’s about three mothers (Huffman, Patricia Arquette, and Angela Bassett) who show up unannounced at the homes of their sons in New York City.